The energy industry wants to make sure President Trump doesn't get too carried away repealing too many regulations. Several of Washington's top fossil-fuel lobbyists and lawyers held at least three post-election meetings around a tricky topic: ensuring Trump's bombastic campaign rhetoric about killing Obama-era regulations doesn't end up backfiring when put into practice. Similar discussions are ongoing across the energy industry. Why this matters: The most conservative wing of the Republican Party, including many of the people and interest groups that helped elect Trump, want a wholesale rollback of virtually everything Obama has done on energy and environment issues over the last eight years. Ironically, it's the regulated industries proving to be a countervailing influence against the GOP's most conservative ranks. Automakers and companies producing oil, natural gas and coal want to ensure changes endure through leadership changes in Washington and legal fights despite environmental opposition. "We have an administration that clearly is very exuberant about cutting back on regulations, and there was a concern if they listened only to the far right wing they'd do things that would ultimately be bad for industry," said one industry official who spoke on the condition of anonymity. Most major oil companies want the Environmental Protection Agency to keep intact but modify a methane rule affecting new wells across the U.S. Some companies, including BP and Shell have said some regulation helps to show the industry is developing natural gas, whose main component is methane, in an environmentally friendly way. The auto industry has lobbied the Trump administration to redo a review of Obama-era fuel efficiency standards, but they don't support throwing out the standards altogether. Top industry executives have also urged the administration not to revoke a waiver for California to issue more aggressive standards. Despite pressure from conservative interest groups, EPA has opted not to review a scientific finding on climate change, partly at the behest of industry lobbyists who said such a fight would likely lose in court. 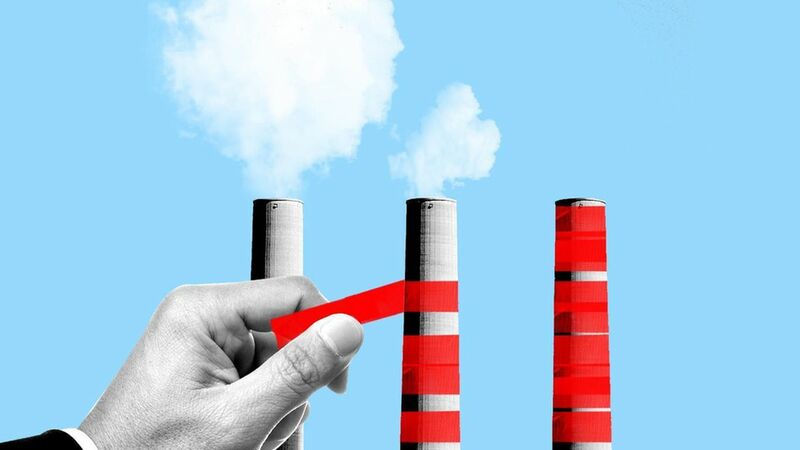 Despite near universal opposition to Obama's rule cutting power-plant carbon emissions, most industry lobbyists think EPA should issue some type of rule cutting carbon emissions because current law and court rulings compel it. Most companies in the oil and gas industry don't want the Interior Department to repeal a rule it issued last year in response to the 2010 BP oil spill. That rule, along with most other Obama-era ones, are now under review by the administration. So far, the impact of the industry-wide discussions have had mixed results. The diverse sector isn't always on the same page with each other, its Republican allies in Congress or the Trump administration. Under pressure from the oil and natural-gas industry, the GOP-controlled Senate tried — and failed — to repeal an Interior Department rule issued late last year by the Obama administration. The rule cuts emissions of methane, a potent greenhouse gas, from oil and natural-gas wells on federal lands. The surprise defeat is an early sign of the political dangers of overreaching. "That was a misread by the Trump administration, their supporters in Congress and the oil and gas industry on the American public's appetite for fundamental rollbacks," said Mark Brownstein, a top official at the Environmental Defense Fund, an environmental group that works closely with oil and gas companies on regulations. The industry meetings in downtown D.C., included the following officials (in alphabetical order), according to multiple people familiar with the meetings. All the executives, who either declined to comment on the meetings or didn't return requests for comment, are partners or heads of their organizations. These officials have lobbied on behalf of nearly every part of the energy industry, including the following companies or organizations, within the last year, according to federal lobbying disclosure reports.